Store Front Window Cleaning – It’s Where Your Business Starts! Your windows offer an insight into your business. If you want to maintain and make a lasting impression, then you should delegate the cleaning of your windows to a professional and experienced Window cleaning company. Maintaining the appearance of your premises, through well maintained and clean windows, not only helps enhance your company’s image in the eyes of your customers, partners and visitors; but it also boosts employee morale and productivity. A well defined window cleaning strategy should be part of any reputable businesses’ facility maintenance program. A business with dirty windows, unclean surroundings or messy entrances, sends out negative signals to everyone who ventures in or near the premises. The windows are what your visitors and customers are exposed to initially, when they approach the building. Our cleaning teams will ensure that your windows are spotless – always making a great first impression to anyone who approaches the site! 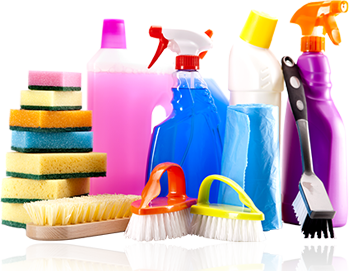 We do that through years of experience and highly trained professionals who look after every aspect of the cleaning process. Here at Eco Cleaning Services, Inc., we understand better than anyone the role that clean, well maintained and spotless windows has on your image. By offering customers, visitors and employees an inviting look, your premises’ windows can preserve and enhance your business image. Window Cleaning – Both Inside and Out! Because of where they are located, the type of premises they own, and the type of traffic – both vehicular and human – that they face, each client’s cleaning needs differ. However, our recommendation is that you undertake window cleaning on a minimal 6-monthly rotating schedule. This will not only provide you spotless and sparkling windows year-around, but will go a long way to preserving and enhancing the life and functioning of your windows. If not treated with frequent TLC (Tender Love and Care), windows can develop hard-water streaks and stains, along with other environmental distortions, which impact the window’s operation and degrade their appearance. The amount of environmental exposure, such as that produced by extreme heat, cold, traffic smoke and air pollution, also needs to be factored in when creating your personalized window cleaning plan. Typically, our customers schedule one wash (In or out) once a year; and then subsequently rotate the schedule for another wash during the year (for the Out or In). This rotation ensures that both interior and exterior washing occurs during the course of a year. We pride ourselves as stewards of our client’s facilities. Our professional services encompass a broad array of high-end services, and that includes Professional Window Cleaning. That’s why, all of our services are performed by highly trained and experienced Window Cleaning Technicians. What’s more – our professionals are fully insured, so you don’t ever have to worry about work-site accidents or incidents. Window cleaning: A sure way to enhance your facility’s appearance, while extending the longevity of your windows. Businesses – especially customer-facing establishments – thrive or languish based on customer image and perception. That’s because, based on appearances, customers and business partners are often swayed into making decisions that are in line with their perception of your company. Most customers would rather frequent a business that supports a clean and inviting premises, than enter one with dirty windows and an unkempt appearance. Let Us Help You Give Your Customers, Business Partners and Staff A Clean Look Into Your World! If you would like more details about how we can make a positive difference to your world, please feel free to contact us at (416) 871-0905; or, simply fill out the Window Cleaning Quote form to have us schedule a no-obligation FREE window cleaning assessment for your premises. We are your personalized Commercial Window Cleaning partners, with complete Building Maintenance Service offerings across Oakville, Mississauga, Burlington, Etobicoke, St. Catherines, Niagra, Hamilton, Grimsby, Stoney Creek and Welland.